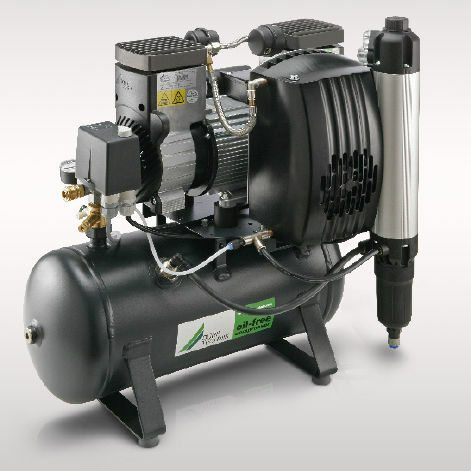 The standard station has an oil-free compressor, control gear, and quick coupling with hose nozzle. The compact design allows the cooler and the membrane dryer to be mounted on the top of the pressure receiver, which features the antibacterial internal coating. Further options such as a fine filter and an operational hours meter are available.